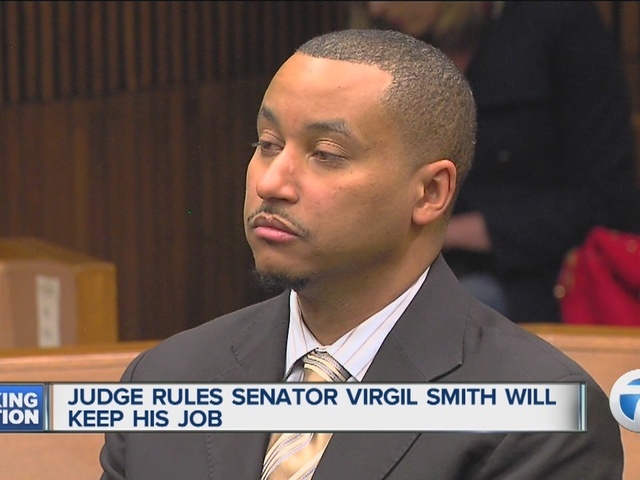 A judge has denied a prosecutor's motion that would pull the plea deal for Michigan Sen. Virgil Smith. 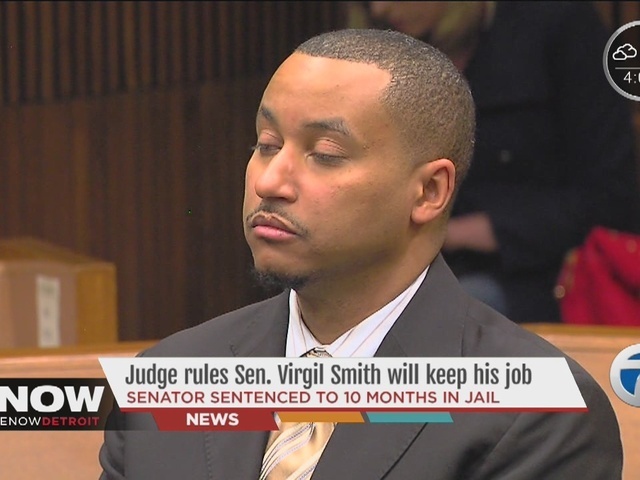 Smith was sentenced earlier this month to 10 months in jail as part of a plea to malicious destruction of property. He also received five years' probation. He will begin serving that sentence right away. The Democrat agreed to resign as part of the deal, but Judge Lawrence Talon did not accept the resignation as a condition of the plea. Prosecutor Kym Worthy has said she will withdraw the offer if "all the conditions are not accepted." Smith was accused of shooting Anistia Thomas' Mercedes-Benz. Thomas has said she had resumed an intimate relationship with Smith but found him with a naked woman at his home last May.